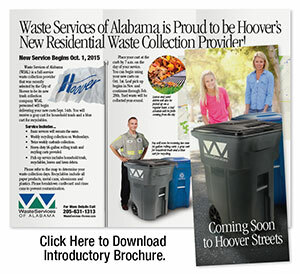 Hoover’s Residential Waste Collection Provider! Help Us Make Hoover's Recycling Program Better. 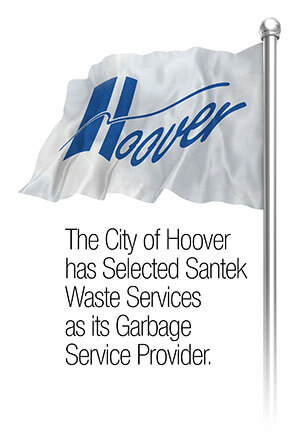 Santek Waste Services is a full-service waste collection provider that was selected by the City of Hoover to be its trash collection company. Gray carts are provided for household trash and blue carts for recyclables. Weekly recycling collection on Wednesdays. Pick-up service includes household trash, recyclables, leaves and lawn debris. waste collection days. 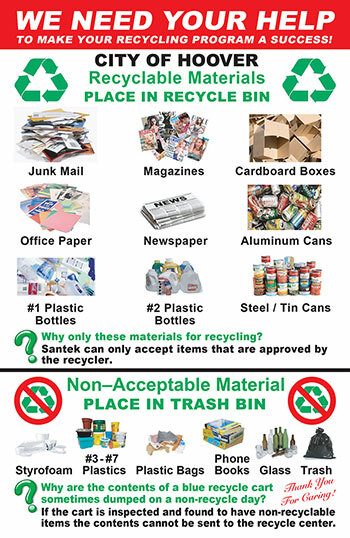 Recyclables include all paper products, metal cans, aluminum and most plastics. Please breakdown cardboard and rinse cans to prevent contamination. ﻿Place your cart at the curb by 7 a.m. on the day of your service. 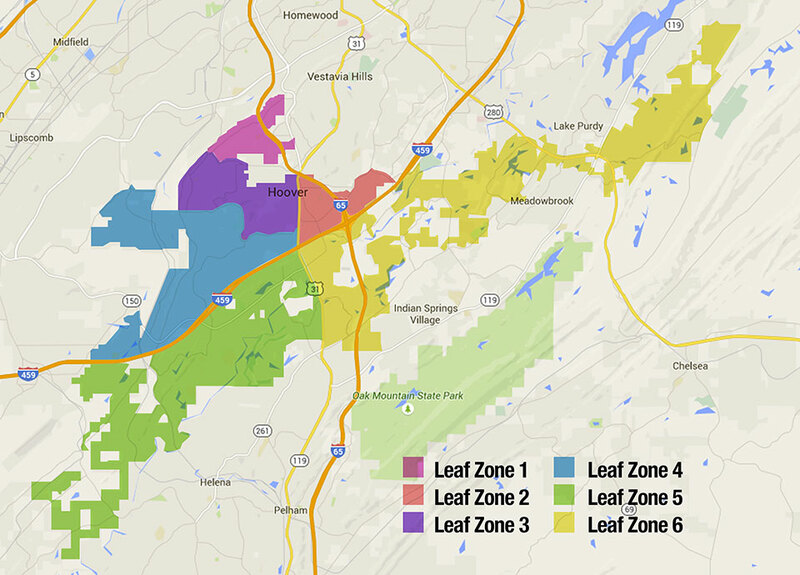 Leaf pick up begins in Nov. and continues through Feb. 28th. Yard waste will be collected year-round. 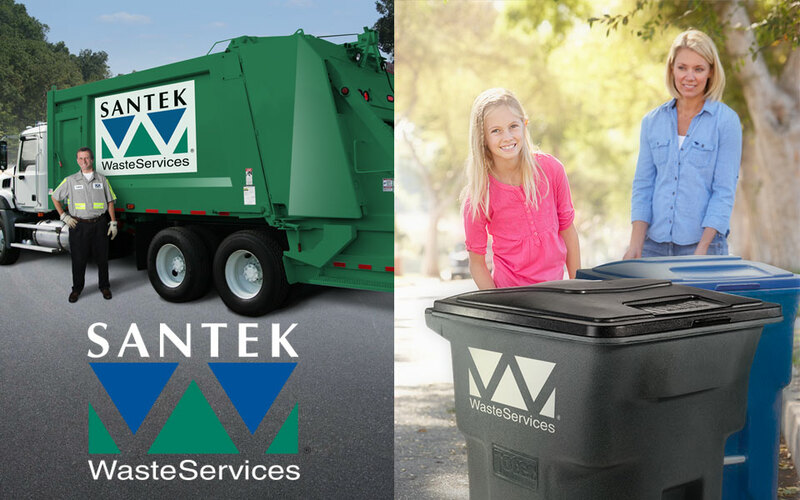 ﻿If your service day changes, you will receive a letter from Santek notifying you of your new service day. 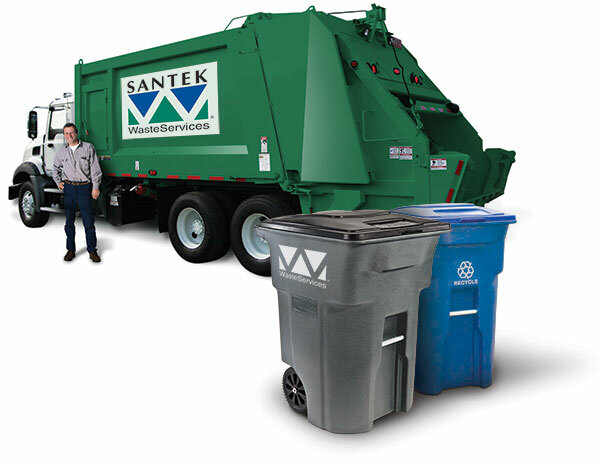 If you prefer a 32-gallon recycling cart, please submit a request through email or phone to Santek Waste Services. 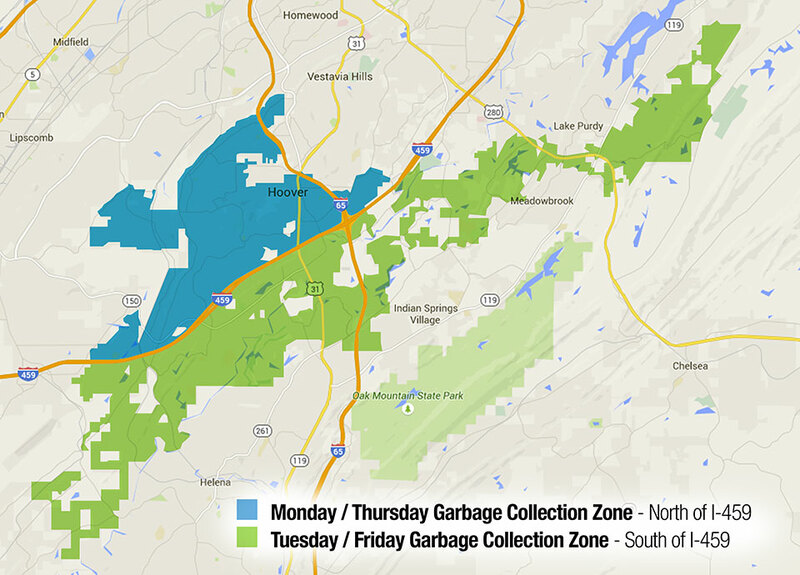 Recyclables will be collected citywide on Wednesdays.